This is Part 1 of a series of articles that will discuss the little details of the Author Platform. Many authors get confused by the Author Platform. It's an awful lot of work, if you look at it in it's entirety. I've shared an infographic about it, which I hope helped put things in perspective. A concept is more easily absorbed if you can see the big picture. But, it's easier to savor and digest bite-sized information as opposed to a BIG IDEA - which can be overwhelming. I mean, where do you even start? Telling people to save the environment will not get any results. It's too vague and unactionable. Ask them to recycle their plastics and they'd know exactly what to do to save the environment. This is why I wrote this series. To simplify a complicated concept. When you're a new author, just like new freelancers, you have a fearsome enemy. Anonymity. We know this, and it's our biggest fear. The fear that nobody will read our work plagues most of us, keeping us awake at nights. No matter what some authors say, we published because we want to be read. It's hard to be an unknown. If Taylor Smith decided to write a book, it won't be as difficult for her to find an audience. She's popular. People will buy her book even if she's a terrible writer. Who cares if she even wrote it? Anything that is connected to her name, will be of interest to many people, especially her fans. New authors have no fans, even Google doesn't know who they are. Friends and family don't count. New authors are not only nameless, they have no credibility. Why should people risk their $0.99 to buy their book? Out of the thousands of books being advertised, why should they pick a book by an unknown author? For this reason, we give some of our books for free, to give readers a risk-free option to read our books. 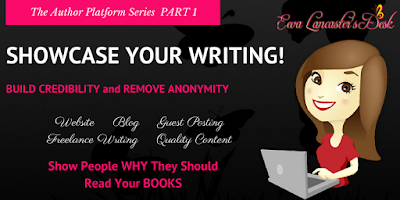 We need to break anonymity - and a simple way to fight this enemy is to showcase your writing. 1) Credibility - You get to showcase your writing skill in your chosen genre. Like a portfolio. A sampling of what people can expect from your book/s. A way for people to peek into your mind, and know what you're about. 2) Presence - You improve your SEO or Search Engine Optimization. It simply means Google will have something to show, when someone makes a query about you. You're now a blip in its vast radar. You have presence. Type your author name on Google right now and review the search results. What do you see? How many pages display your stuff? But how exactly do you showcase your writing and build a reputation as an author/writer? If you're not a freelance writer with a robust portfolio, the easiest way is to create your own website or blog. If you're a new blogger, use simple websites which you can easily design and update. Self publishing is hard work, what with all the gazillion items you need to scratch off your To-Do list. You don't need a complicated website to maintain. Use Blogger, Simple Site, Weebly or Wix. Here comes the tricky part.... what would you write about? THAT is the mother of all questions. Jeff Goins says write from the heart and your readers will come. To write with a worldview. To find your voice. Those are helpful writing and blogging tips. I follow Jeff Goins because I learn a lot about blogging from his articles. Imagine if he suddenly talked about stuff not related to blogging, or writing. I'd check the site URL. LOL. Maybe Google took me to another site. You get associated with the things you write about. Readers develop expectations. My friend Traci Lawrence is an inspirational and motivational writer. Her blog, and her book, Accept No Trash Talk has the same theme. I'm a nonfiction author, and I offer services to authors on my other site, The Book Khaleesi. So I write stuff related to self publishing, authors, and books. Now, if Traci suddenly posted recipes on her blog, her readers would be confused. They visit her blog for empowerment, not food. If I talk about health and nutrition, I don't think people will be as interested in it, even though I've been a health and nutrition writer for many years. People visit our blogs because they need something specific, that we are able to provide. Our blogs are not for our own enjoyment and consumption. Always consider what your target audience needs from you. If you want them to care. So, again... what do you write about? I think we should look at the father of all questions instead of the mother. What do you want to be known for? I know it's damn hard for fiction writers to find something to write about on their blog. Non-fiction writers have it easy. We can write how-to's and informative posts, and there's no shortage on those topics. Whatever you choose to write about, be consistent. Don't confuse your readers by being schizophrenic. 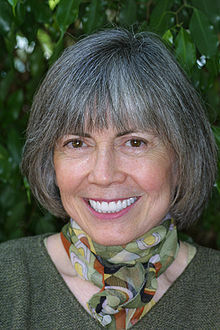 My favorite example of sticking to your author identity is the story of Anne Rice. I loved the Vampire Chronicles and the Mayfair Witches and I read all of them, several times. She was a dark fantasy writer, a genre I enjoy reading. Then, after several close calls with death, she had a change of heart. She returned to the Catholic Church, and wrote about angels and Christ. Out of loyalty and curiosity, I bought her new books. I'm sure they were good... but I didn't finish any of them. The stories didn't work for me. It felt so alien from her previous books. In 2012, she went back to writing dark fiction with The Wolf Gift. Her latest book, Prince Lestat, is sitting in my tablet. I'm waiting for the perfect time to read it. That's how happy I am to have her books back. If you want to read about her journey as an author, you can check out Wikipedia. I shared this because her story is proof that you get identified with what you write. Readers expect to have the same experience every time they read your work. Should you write about personal stuff? Only if you can bring the topic back to your blog's theme. Let's face it. As much as your blog subscribers like you, they're really NOT interested in what you did today, unless it relates to something they care about. Would you read my long post if I talked about the new German Shepherds that I'm planning to buy? Maybe if you knew me personally. But my subscriber's eyes would glaze over, and they'd hit the X or the back button after the first few sentences. It wouldn't be a relevant topic to them, unless I can somehow connect the German Shepherds to self publishing and books. Why would they spend time reading about the darn dogs? Why should they care? One of my favorite empowerment blog is The Green Bough, by Oriah Mountain Dreamer. On some of her posts, she writes about her personal thoughts and daily life, BUT, she manages to empower and uplift in the end. She gives her readers a quick fix on every post, which is why they visited her blog in the first place. We hear advise about writing topics close to our heart. I have a blog just like that, Blackcat's Cave. It's a personal blog. I talk about everything that interests me, from travel destinations to relationships to health and nutrition. I have zero subscribers. That blog will be getting a makeover soon. Readers might love my relationship articles, or my new smoothie recipe, but they will not subscribe. They know, that they will receive emails about topics they might not be interested in since my topics vary.... greatly. Think about the purpose of your blog. You want to flaunt your writing skills. You want people to get to know you. You want subscribers who will be interested in the books you publish. You want people who are interested in your work. Write from the heart, but write for THEM... your readers. Give them what they need from you. Something of value to their lives and careers. Something that entertains and makes them forget their concerns for a while. And write it so well that they'll come back for more. Posting on another blog has many benefits. You tap into that blogger's audience. That's additional exposure for you. If you and the blogger write about the same things, you might even get some of their subscribers to follow you too. If you're guest posting on a blog with a different theme, it's a chance to show your versatility. A writer is a writer, and you should be able to write interesting posts about anything. Why do bloggers allow guest posts on their own blog? It also increases their blog's exposure. The guest poster will be promoting their post, and that will bring people to the blogger's site. Everybody happy. When you guest post, don't forget to include a link to your blog and your book pages - and make sure you get full credit. Not only do you get paid to write, when you're credited for your work, you gain credibility as a writer. People pay you. You're a professional. You must be good, hmmm? It makes you less anonymous when you enter the publishing industry. Become a freelance writer and get credit for your work. Prove your authority on your genre. Increase your credibility as a writer. That's it for Part 1 of the Author Platform. Just keep in mind that every little thing you do to promote yourself and your work, everything that comes out of you, will contribute to your author platform. Make sure they're ALL awesome. Our readers are online. Most businesses have an online presence nowadays, and make no mistake about it, self publishing is a business. Having a robust author platform is a must, if you're serious about your writing career. Take small but determined steps towards you goal. Don't expect immediate results from your efforts. Many authors have unrealistic expectations, and when they don't see the results they expect, they give up. They think a few posts and some promotions will increase their sales right away. It doesn't work that way. Like any career, you have to build first, before you see the fruits of your labor. If you haven't subscribed yet, click here and join my friends list. Never miss a post. No spam, promise.